Tempe History Museum is a place where families come together to explore Tempe’s past, share its present and imagine its future. Admission is free. Visit Tuesday through Sunday year-round to experience Kid’s Place and interesting exhibits with interactive stations. Summer is a great time to visit! Take part in Tempe Time Machine each Wednesday and the second Saturdays in June and July. In the fall through spring, join us for Performances at the Museum, Lunch Talks and Third Thursday programs. 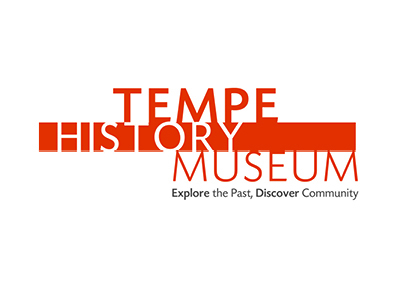 There’s always something happening at Tempe History Museum! The museum is nationally accredited by the American Alliance of Museums.